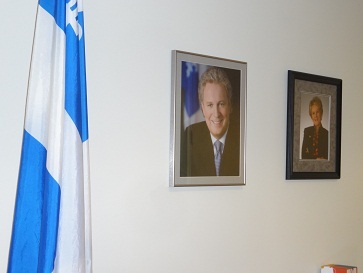 I am mainly in charge of education, research and other public affairs at the Los Angeles Office of the Quebec Government, and currently working on the exchange of university faculty, researchers and students as well as research activities between Quebec and the US in general and the western states in particular. There are a number of important fields and topics for joint research and study in this context. First of all, the Plan Nord should be pointed out, as this is called the “project of a generation” in Quebec to focus on Northern Quebec for economic, social, environmental as well as energy development. This project, leading to more than $80 billion over a period of 25 years, is so huge that it requires extensive collaborations among government, business, academia and local communities within as well as across regional and national boundaries. This project is closely related to Quebec’s development strategy of environmental and green technology, aiming at the achievement of sustainable development by fostering environmental and green technology industries. 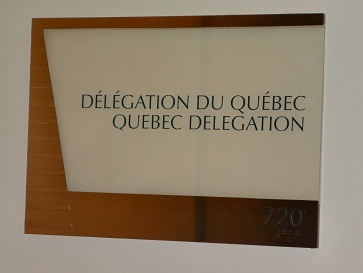 For example, the Quebec government and industry are working with their counterparts in California and other western states in the US regarding environmental policies such as cap-and-trade programs on greenhouse gas emissions as well as industrial policies to promote electric cars. Needless to say, joint research activities in this field are actively taking place between Quebec and US research institutions. There are many other fields in which Quebec and the US, especially California, are working together for mutual benefit in terms of research and business, from the life science field, particularly the biopharmaceutical industry, to high-tech entertainment businesses such as the movie and gaming industries. Here, our challenge is to attract skilled workers and professionals to prosper in these key industries. For that purpose, we emphasize not only education and training for new immigrants, but also mutual recognition of skilled workers’ competencies with France to facilitate the mobility of skilled workers. As a result of these public and private efforts, Quebec’s business, research and academic activities have recently been advancing faster than anyone expected just a few years ago, and the people in Quebec have gained enough confidence in themselves to become open-minded in promoting closer relationship with the US and other countries and also to play an important role in the nation as a leader, not as a separatist any longer, as clearly shown in the last general election.